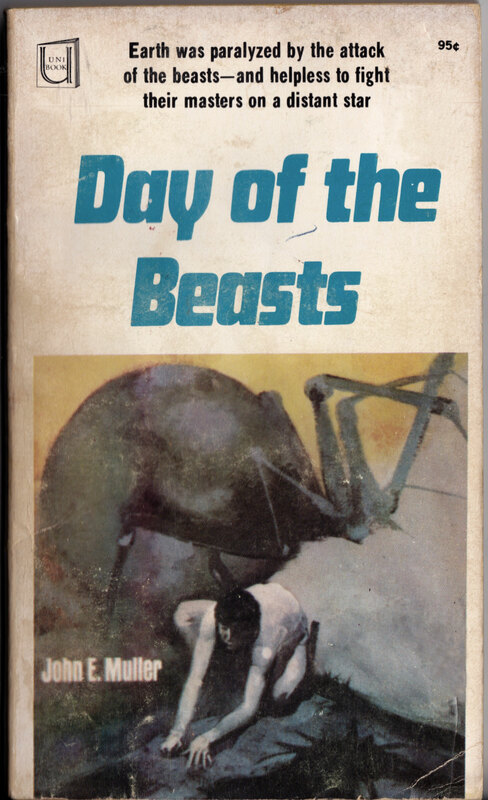 ABOVE: John E. Muller, Day of the Beasts (New York: Modern Promitions, n.d.), with cover art by Jeffrey Jones. 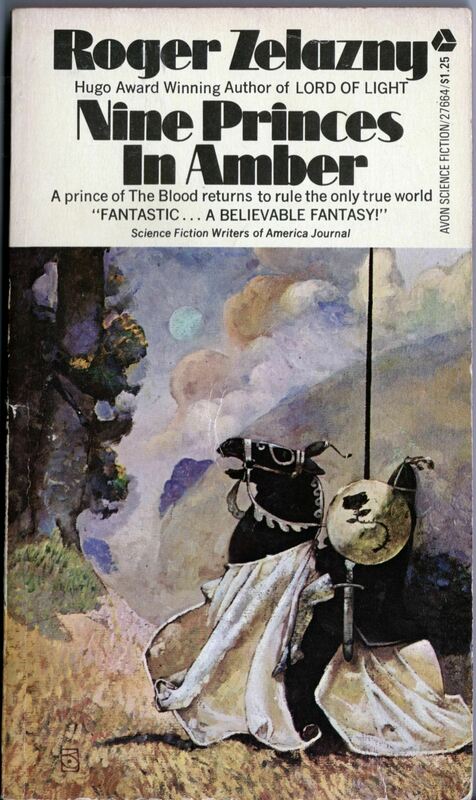 ABOVE: Roger Zelazny, Nine Princes in Amber (New York: Avon, 1972), with cover art by Jeffrey Jones. You can see the photo reference for the first cover — which, in terms of draughtsmanship and painting technique, I would describe as the weakest of the three, though I do find the composition interesting — on Jeffrey Jones’s official Web site. It’s the first image on this page, right beside the figure reference for the painting Age of Innocence. The N. C. Wyeth influence is pretty obvious in Jones’s Nine Princes cover — see, for instance, Wyeth’s paintings for Robin Hood, etc. Years later, Jones revisited the idea of the knight on horseback in his Game of Thrones painting. Notice how the Wyeth influence is no longer right on the surface in the later painting but has been absorbed and transformed into a style that is less about trying on techniques and motifs like pieces of clothing and more about the pleasure of manipulating and thinking in paint. Keywords: Day of the Beasts, The Dirdir, Nine Princes in Amber.